It's that time again, dear readers, for the North American Nintendo Download Update details. This week has some promising download-only titles across Wii U and 3DS, while it all gets rather sporty on the Wii U Virtual Console. The New 3DS VC gets a rather fun SNES title from Capcom, while there's also a demo and plenty of discounts to consider. Let's get to it. Tadpole Treble (BitFinity, $9.99) - A former Kickstarter success-story, this is a music rhythm game in which you swim through the 'sheet music', aiming for the beats and avoiding the music notes. It looks hugely promising, with boss encounters and a challenge mode also included, while Composition Mode will allow you to create your own levels and share them as QR codes. We'll get cracking on a review soon. 360 Breakout (nuGAME, $7.00) - This one promises an 'out of the ordinary' Breakout experience, with the paddle able to move around a 360 degree space. With solo play being accompanied by two player VS and co-op, this tries to offer some variety to the classic formula; we'll see whether it's a breakout success in a review. 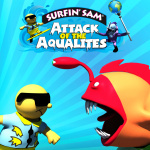 Surfin' Sam - Attack of the Aqualites (Slyon Studios, $4.99) - An action platformer in which you guide Sam and his dog buddy through over 30 levels; it looks bright and colourful, though perhaps a little rough around the edges. We'll see whether it holds the wave or sinks in our review. 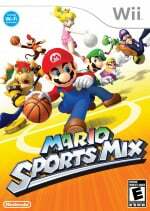 Mario Sports Mix (Nintendo, $19.99) - The latest Wii arrival on the eShop is one of the various minigame titles that arrived on the hugely successful little console. This features sports such as Basketball and Ice Hockey, and we rather enjoyed it in our original Mario Sports Mix review. Wave Race 64 (Nintendo, $9.99) - An extreme sports racing title from the N64 era, with a summery vibe as you ride the waves and try to secure top spot. At the time its wave physics were a sight to behold and it still stands up as a wonderful slice of 64-bit gaming to this day, as we argue in our Wave Race 64 review. 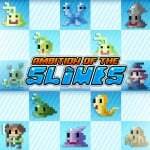 Ambition of the Slimes (CIRCLE Entertainment, $5.00) - A quirky looking turn-based RPG in which you control a variety of slimes and possess human characters, rather than fighting them as you would in a certain classic series. The slimes have various types, strengths and weaknesses that need to be exploited for success. We'll get working on a review. Mega Man X (Capcom, $7.99) — This franchise represented quite a departure from the 'Classic' series of games when released on SNES, but had such an impact that it spawned plenty of sequels of its own. Don't let any of the iffy later sequels put you off, as this one is the real deal — our Mega Man X review gave it a strong recommendation. Wave race! Finally! And I didn't know that sports mix existed! I'll be picking that up too! mario sports mix, disney art academy demo, mega man x, and maybe stella glow. it depends on how good the discount is. I just bought Mario pinball land and harvest moon friends of mineral town. I have 15 GBA games ony Wii u! That's 10 more than Wii u games I own. Probably nothing. If I do get anything, it'll probably be Mega Man X.
Ugh. I was hoping America would get the megaman legacy collection on sale like EU did. Both Tadpole Treble and Ambition of the Slimes sounds promising. Look forward to reviews. I would have gotten that Stella Glow discount if it's on EU as well. I also need another round of Sega 3D discounts for my 2nd 3DS. It never ceases to amaze me how Nintendo ignores old 3DS and 2DS owners when it comes to the virtual console. I get why we can't have SNES games. What I can't understand is why we don't even get NES games anymore. Does Nintendo think the world will end if they gave us Startropics? Zoda's Revenge? Earthbound Beginnings? I love my 2DS, but it bothers me when I see nothing for my system week after week when it comes to the virtual console. stella glow! hilda is. she just is. Will probably get Mario Sports Mix, as I missed out on it and it looks really fun. Other than that, nothing for me this week. Wow, there's actually a lot that's interesting this week. The biggest deal to me are the VC games - Wave Race 64 is a game I've had a lot of fun with in the past, and Mega Man X is too good to not have on the go. Mario Sports Mix apparently slipped me by when it came out on the Wii, but it actually looks really fun - like a Mario version of Wii Sports. But I remember Tadpole Treble's Kickstarter, and the game does sound interesting. I'm looking forward to the review there. And that Slime game will be right up my alley, so long as they don't really botch it. So again: looking forward to the review. No interest in anything this week personally. Though the Ace Attorney discounts do make me wonder... We ever getting a release date for Spirit of Justice? It's supposed to be out next month. Megaman X doesn't appear to be on the American 3DS eShop. Maybe it'll get added later? @Vernatio the shop gets updated at 9 am (pacific time). Mario Sports Mix is the most fun I've ever had playing dodgeball. Actually it's the only time I've ever had fun playing dodgeball. Bonus if you are into Final Fantasy as some of those characters are in there as well. Not the main named characters, but some of the inhabitants. And for reasons I've never fully understood you actually get to do boss battles with FF bosses. Weird. And I have to recommend it b/c Wii U missed out on most of the Mario sports games. And what it did get, tennis, only had 1 arena, which is insulting for a $50 tennis game. That's like making a Zelda game with 1 dungeon. Been waiting a loooooong time for Tadpole Treble. Instant Buy for me!!! If anyone is unaware, Tadpole Treble was created and developed by Matthew Taranto, artist behind Brawl in the Family, and his brother (hence the "BitF" in "BitFinity"). Edit: actually shown in the header image. Whoops. Thinking about finally picking up 3DS version of Terraria. Read a few reviews and such, but anybody else have good experiences with it? Just have the itch to play it on the go. @Caryslan All I would expect to see for NES/GB/GBC/GG/Etc on the original 3DS at this juncture is Gen 2 Pokemon games and it is questionable as to whether or not those will be posted if another few months go by without them. Otherwise they will be used to help motivate people to get the NX since they won't be able to get them on a 3DS. Just a hunch. I am working on Breath of Fire II on SNES VC. That should keep me busy for a little while and there is the first one to play after that. For some reason I find myself chasing a 16-bit library built on SNES and GBA games (Yes GBA is 32-bit but tends to capture the 16-Bit Artstyle, and there are ports/remakes of SNES games I cannot get otherwise). Don't know if it is age, or just a desire to replay a mostly lost style of gaming. Going be playing Captain Rainbow, so nothing for me this week! What a great week, I'll be picking up one of the discounts and Mario Sports Mix. Will be coming back around for the spectacular Wave Race. Disney Art demo and gonna have a look at the discounts once the prices are actually announced. Hopefully they fixed the sound issues with Mario Sports Mix for the VC version. My son borrowed the Wii disc version from the library and some of the music suffered from volume distortion when played on our Wii U. Otherwise, it was a lot of fun! Mega Man X only not 2 and 3 like PAL. PAL gets all the best stuff. @Grumblevolcano I'm not gonna complain on this one. We got 1080° in Winter, and now we get Wave Race 64 for some Summer fun. It makes sense, though I won't forgive them so easily for the countless other VC games they're taking their time on releasing. Nothing for me this week, but I will keep an eye on Tadpole Treble and Ambition of the Slimes. I may get those two in the future depending on the gameplay/contents and if I have time to play them. Naming Mario Sports Mix "one of the various minigame titles" seems rather unfair to me. It's FOUR sports may not offer the deepest experiences, but minigames they are not. @nf_2 Wind-Up Knight 2 on the 3DS Eshop did the same thing as well, also priced at exactly $5. i may or may not get that game at some point in the future. Hey! Why do I have to pay full price WaceRacer64 when I bought it for my wii VC? Is it the remnants of some dream I had, or am i right when claiming that I should be getting a discount? I called nintendo, and the operator had no idea what I was talking about. Not a bad week in terms of variety, but nothing for me. I might pick up Tadpole Treble if it goes on discount. @Anti-Matter how can you call the wii vc cheap. Here in the uk we can get it for 5 pounds. And the wii vc cost 17.99. @Grumblevolcano But.. But.. Licensing issues! Tadpole Treble is out now? "Let's throw money at it!" Definitely Wave Race and Mario Sports Mix! And possibly Tadpole Treble...depending on reviews. I like the idea and the Steam response seems mostly positive. @Barbiegurl777 you have excellent taste in video games. @mrchills I was wondering the same thing at first, but it looks like they fixed it. @Grumblevolcano Oddly enough, @Manjushri is kinda right. Unlike the version that NoE released, which I remember hearing was the same as the Wii VC version of the game, which had Wii & DS banners around the track, NoA released the original version of the game, complete with the Kawasaki license. @allav866 NoE got the American version. @KIREEK It's the least impressive version of an absolutely great game. I bought the 3DS version when my Vita was temporarily out of commission. It works fine and kept my Terraria itch scratched, but now that I have my Vita works again I'll probably never go back to the 3DS version. The 3DS version is fine, though, just not quite as good as the other versions. I say get it! So they finally brought over Megaman X. Great week. 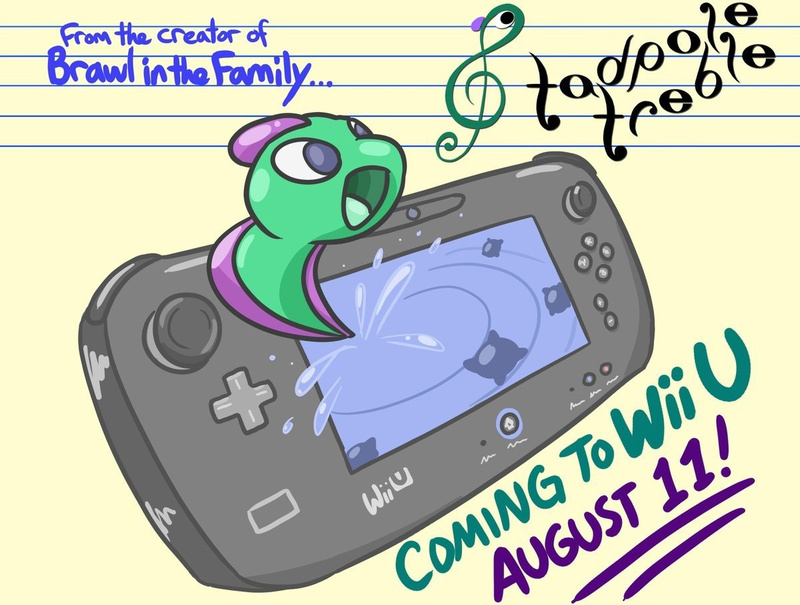 Tadpole Treble & Wave Race for Wii U. Harvest December & Stella Glow deals on 3ds. OK, let's compare. Mario Sports Mix Wii USA physical Used Very Good condition on Ebay or Amazon at least US$ 45 or more (Even used still expensive). But, the Wii VC version just only US$ 20, digital download version. So, which is cheaper ? Digital download version is cheaper, right ? Wow, only took NOA seven months to bring Wave Race 64 over stateside, all right! On the bright side, every game we get later is an exciting week for us while their excitement will have been long faded. They're celebrating MegaMan X. But me and you have been there, done that. You know what released on Custom Virtual Console today? MegaMan X2 and MegaMan X3. The special chip games finally got dumped from out of region. Its about time Wave Race was added. Would be nice if they put something unreleased like Excite Bike 64. I'll probably check out Ambition of the Slimes and 3D Shinobi. Never played a Shinobi game but it looks fun. @Anti-Matter wow. For us in the uk eshop games are expensive and we can buy the physical copy for nearly 1/4 of the price. my son's been waiting for Mario Sports Mix for a while now, he will be thrilled! Yeah. Check out Mario Sports Mix on Ebay. You'll surprised by the price. I guess for you guys it's cheaper to buy eshop wii games. @Grumblevolcano I know that, but weren't the Kawasaki logos covered up with Wii and DS logos when NoE released the game 7 months ago? Because they aren't covered up in the version they released on the North American eShop. That's what I meant by the versions being different. NoA might've taken extra time to sort out legal issues with Kawasaki to present the game as it originally appeared. @allav866 Thanks for the reply. Ill check it out now. MAN! I love that game. Can you play Mario Sports Mix on the gamepad with off-tv play? 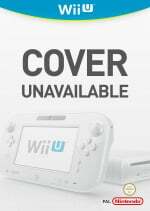 All Wii games can be played with your Gamepad. So, i think Yes, it can. But, you can't use Gamepad buttons or Touch Screen to control Wii games. You must pointing your Wiimote toward to your Gamepad just like you pointing at your TV. Happy playing ! Tadpole Treble is definitely worth playing. Can someone please confirm that the 3D Sega games Shinobi and Streets of Rage are actually on sale? They are currently regular priced still on the Canadian eShop. @Hey-Cha-La They are regular price for me too here in the U.S. e-shop. Does anyone know what is happening? I want to get Streets of Rage but I also want to take advantage of the sale. @MakeMyBiscuit Same here in the United States. Had planned to get them the second they posted and have been regular price since the 11th. I checked eShop tonight and a lot of the 3D Sega games are currently on sale, not only Shinobi and Streets of Rage! For myself, I've made up my mind to get the 3DS Sega Classics cartridge - I think it works out to be a better deal if you factor in the additional games that aren't available on eShop. @Hey-Cha-La I also noticed it but thank you for mentioning it in case I hadn't logged back on. Appreciate the notification. After seeing all the other Sega stuff go on sale I was a little disappointed that they chose not to include Altered Beast which I would have also bought on the spot. Fortunately I had already purchase the 3D Sonics during that anniversary sale. @Hey-Cha-La Thanks for the update. I have the 3D cart even though I already on most of the games digitally. I hate buying games more than one but the cart was worth it for a couple of games that were not released already. I just hoped the cart would have featured more unique games not previously released as a nod to those of us who have been supporting the 3D Classics already via the e-shop. I do love that fact that the Sega 3D Classics games are 50% off! Nice! Also, did anyone notice the "Funds Needed" option in the pay menu? I HATED having credits left over after buying a game and now you can just pay for the games you actually want to buy. I don't know if I missed this before but I am glad it is there. The funds needed option has been there for a long time now. I also hated how they used to make you buy chunks of credit before in the past and I still have money left sitting there in my Wii eShop credit! The 3D Sega games that are on sale appear to not be available on the Sega 3D Classics cart, so I may need to pick them all up this week. @Hey-Cha-La I snagged both Streets of Rage games and the added depth from the 3D is truly amazing. All this makes me wonder if we will ever get SOR3 to finish the trilogy.